Two consecutive holiday posts? Well, I could use a little Christmas, right this very minute! They happen to be bookends to a less than festive week spent in a migraine’s grip. I nearly made it through this very busy summer without one, and then with one work week to go before some much needed time off, I was knocked off my feet, literally. I’ve written a bit about my experience as a migraineur. Being in the thick of it is always surreal; I struggle with a constricted, pulsating brain, have difficulty processing and using language, and my sense of time (which is never good anyway) completely distorts. When I recover, the entry into the “real” world often seems just as surreal. Today, I felt the most normal, and yet paradoxically the most alien. After a migraine, everything around me always seems so new and hyper-real. We headed to a favorite haunt (and in my opinion one of the top three bakeries in Seattle), Columbia City Bakery, strolled around the neighborhood feeling the hint of cool fall air, and made it to Impress Cards and Crafts for their Paperpalooza where I scored some sweet 12×12 for 25 cents a sheet! 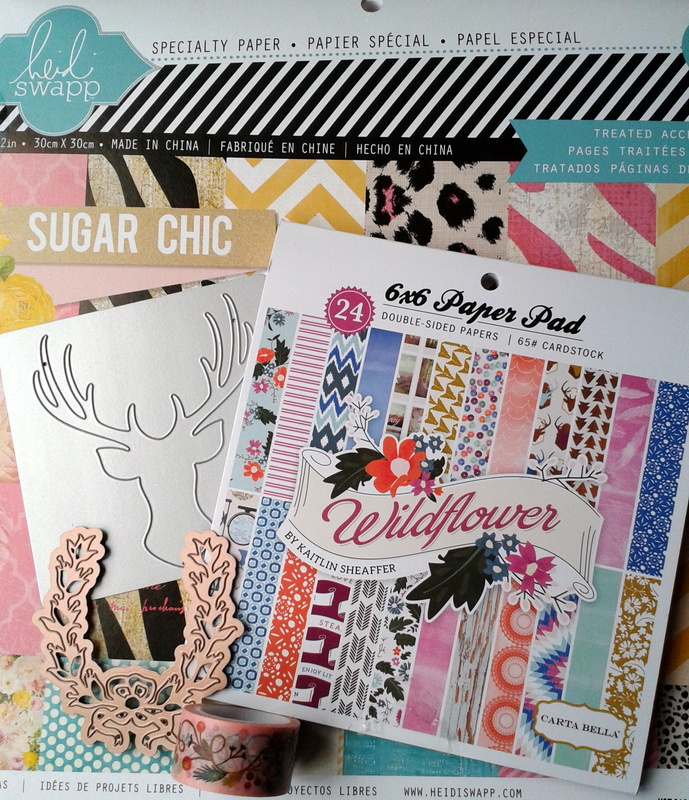 Itching to make some fancy envelopes! It was good to get out. It was also good to productively create a bit yesterday and today. Though I feel like the summer simply melted away, there is a stirring of excitement within for the coming fall. The sweet Halloween and holiday cards at Impress urged me on. Now, I’ve four cards queued up and ready to post, so without further ado, let the festivities begin! This card was inspired by the current sketch and image over at Fusion, as well as Festive Friday’s image. It’s old country (Christmas) charm indeed. 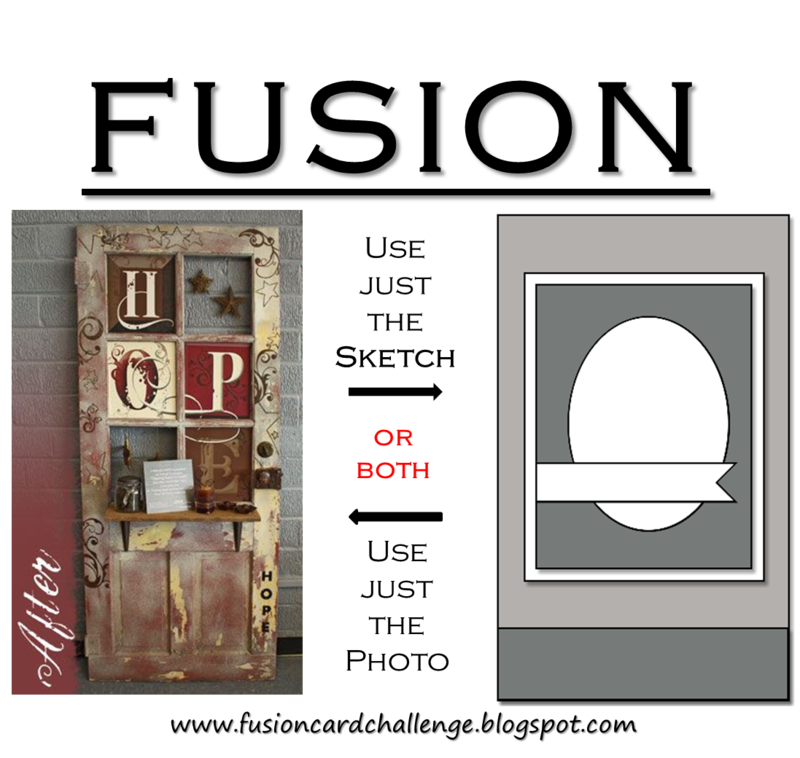 I worked from the crimson and cream background colors, the rustic paint on the door, and background designs, as well as the sketch at Fusion. 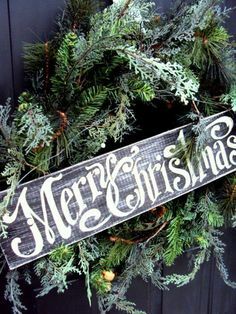 I pulled the wreath and black and cream of the sign from Festive Friday. When I had completed this card, it made me think of the interior of a fabulous boutique in the neighborhood of Ballard, Horseshoe. It’s rustic, full of clothes I can’t afford, gorgeous jewelry, and lots of cowboy boots. I always love passing through, even if I have to leave empty handed! So I’ve combined product from many different companies for this production! 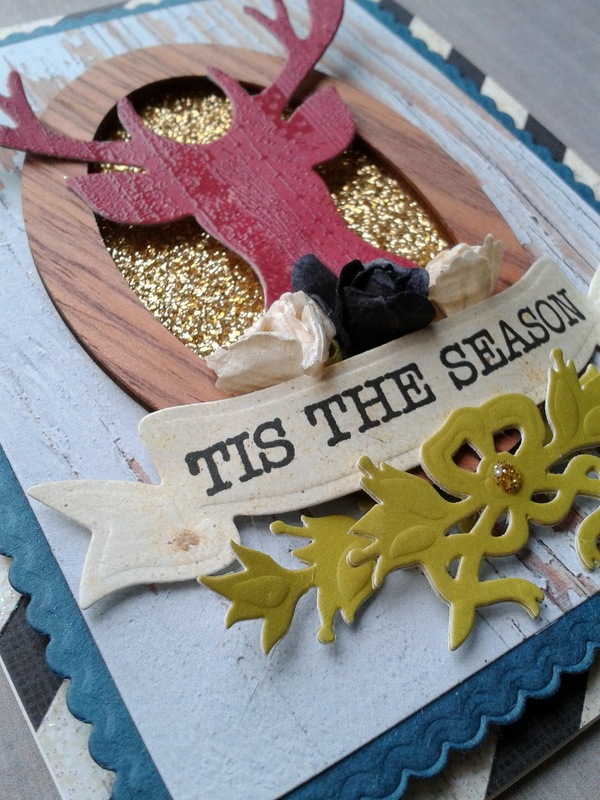 A couple notable elements are the garland, a deconstructed laurel from the Spellbinders Laurel and Bee set; also, you will note that I have embossed my Lifestyle Crafts reindeer to add some interest and texture. I used Versafine Champagne embossing pad, Superfine clear powder, and a background stamp from Hero Arts. Close up of the embossing. I’ve layered my die cuts to give them some heft. The flowers are classic Prima, as is the wood frame; the banner was cut from some grungy, antiqued paper, and stamped with a sentiment from Amuse Studio. As always, I’ve finished off the inside and back with My Mind’s Eye Market Street washi. Here’s a selection of the products used. I always love how a design and/or color can completely change the whole experience of another color/design. I placed the card atop some off-white paper and it feels so different! That’s it for me this evening! Check back tomorrow for more creations. And make sure to stop over to Fusion and Festive Friday. If you are in the States, enjoy the last day of our holiday weekend. Wherever in the world you are, I hope Monday finds you feeling fine and inspired! Oh no, so sorry about the migraine….sounds horrific. I’ve had a couple in my lifetime and all I can do is lay perfectly still in a dark room. Sounds like a nice outing for you guys…LOVE Columbia City…although back in the day I wasn’t a fan because that was where my dentist office was. Your card ROCKS…seriously, so much goodness going on with it. 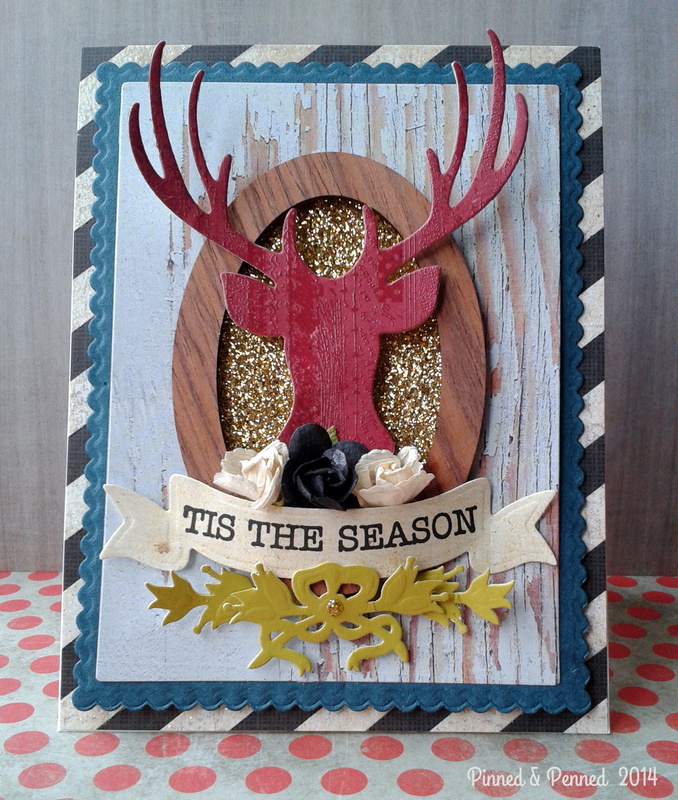 LOVE how you used that diecut reindeer and the glitz..love. So I made it to the Impress sale and scored on a load of 12×12 and 6×6’s at UVillage…no, I don’t need them but…. Where is the smily with the heart eyes?? Love your christmas card. Thanks for playing along at the FUSION card challenge and hope to see you again. What wonderful layers and patterns on this super card! 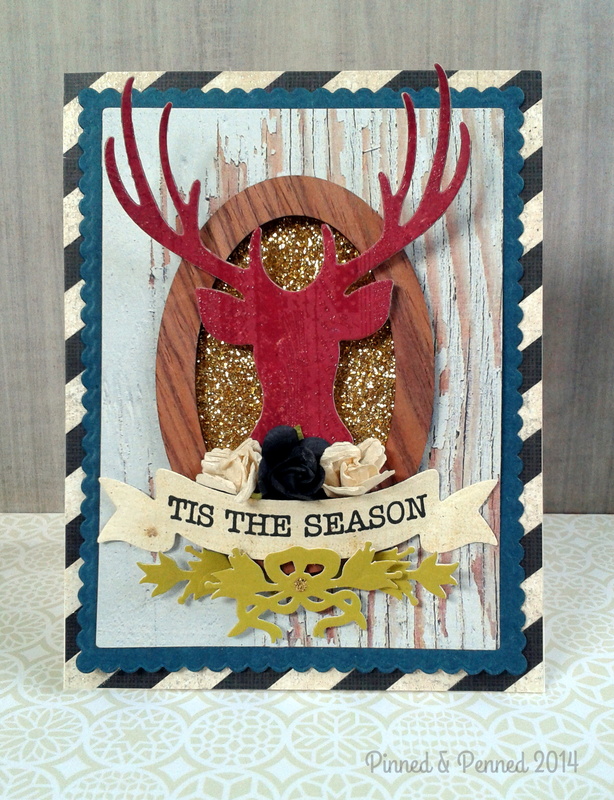 love that deer head with the clear embossing and the wonderful barnwood background! Thanks for joining us in the Fusion Challenge – glad that your migraine has passed! Oh, I love this so much!! 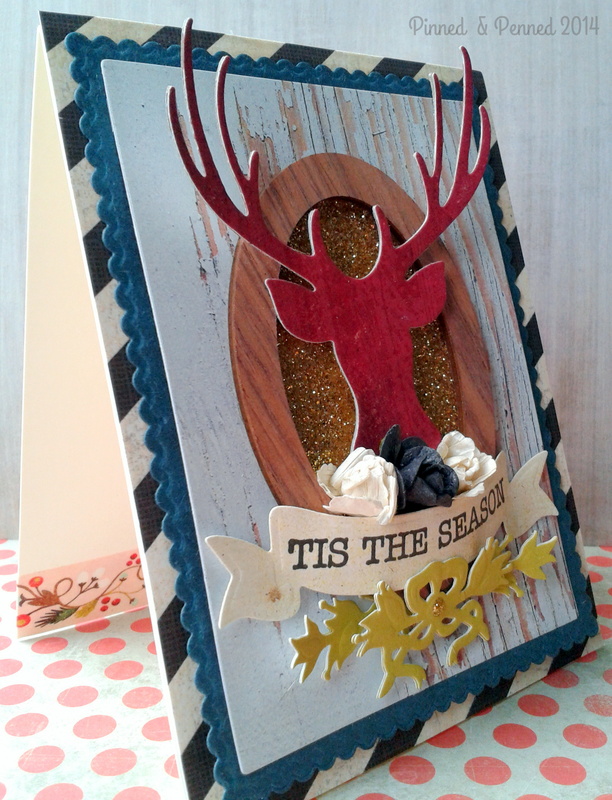 The deer is awesome and I LOVE how you framed it and added that bit of gold glitter–so cool! Thanks for playing along at FF again this week! I’m glad you are over your migraine. I’ve had a couple but my dad has had them his whole adult life. When I was younger, he got one every single Sunday without fail for years. I know how debilitating they are so I hope you will be spared from another one for a very long time. 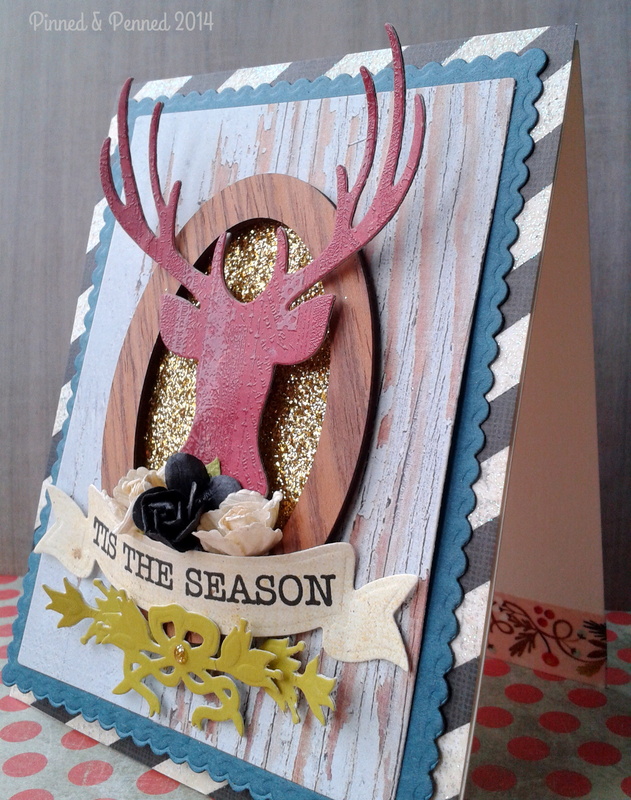 Love the glittery background … and what a great die cut … so glad you joined us at Fusion Card Challenge. Hope you are better now!!! Thanks for the Anniversary wishes, so sweet of you. I ADORE this combination of rustic meets hip, so Cool!! Thanks for linking up to FUSION, cool stuff !!! Glad to hear you’re feeling better!!! Your card is gorgeous! 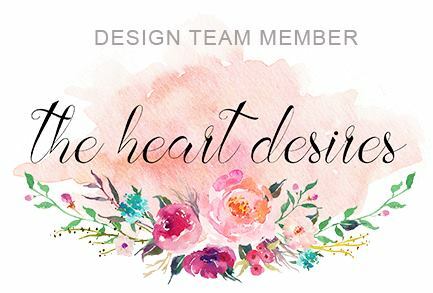 I absolutely LOVE your layers of patterns and die cuts and that pretty little patterned strip that peeks out at the bottom when it’s closed! Beautiful!!! Great to have you back at Festive Friday! This is a wonderland of good stuff. 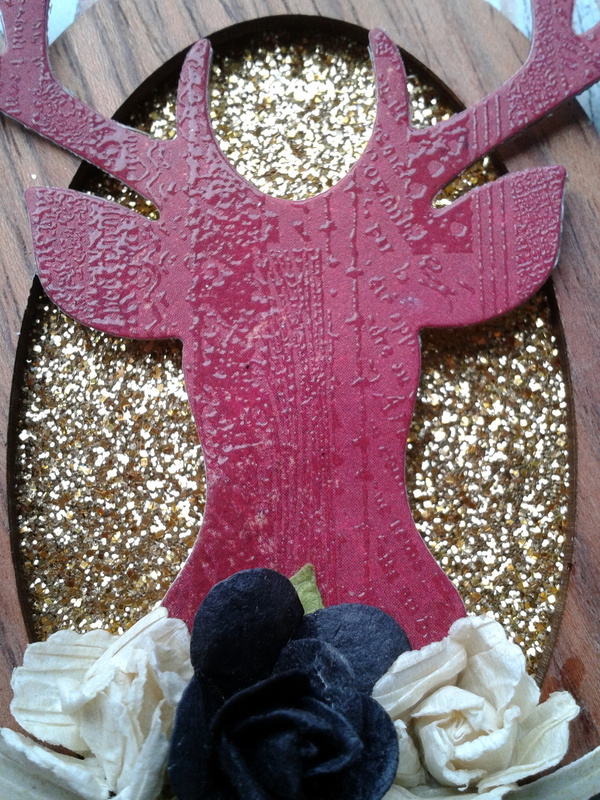 From the rustic back board to the gold glitter, to the red deer, pure magic! Love it all! 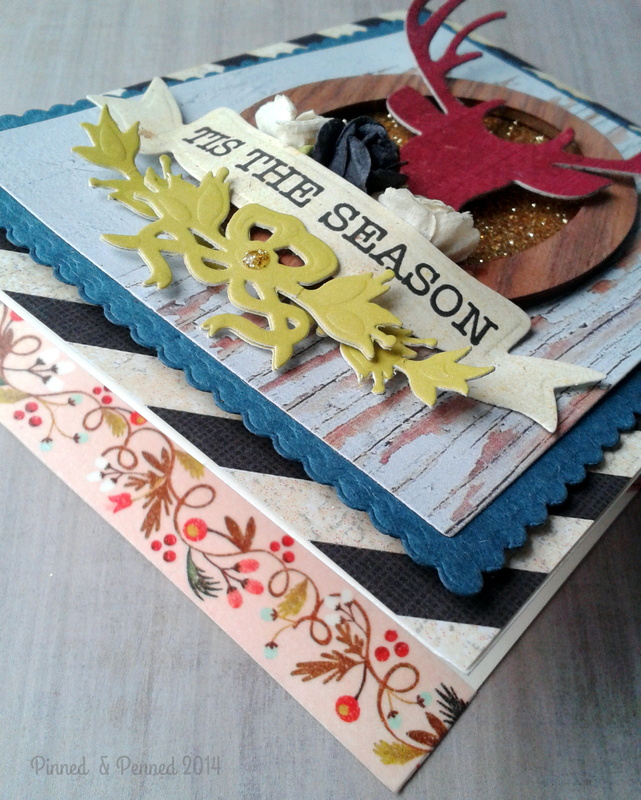 Fantastic combination of these challenges – you’ve captured the rustic, country feel of the inspiration perfectly! So glad you joined us at Festive Friday! This card is absolutely stunning! Stumbled upon it looking thru the gallery! So glad you are starting to feel a bit better. Love how you fabulously combined all the elements on your card. Gorgeous! 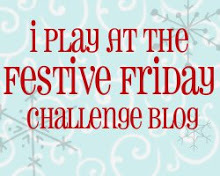 Thanks so much for playing with us at Festive Friday!